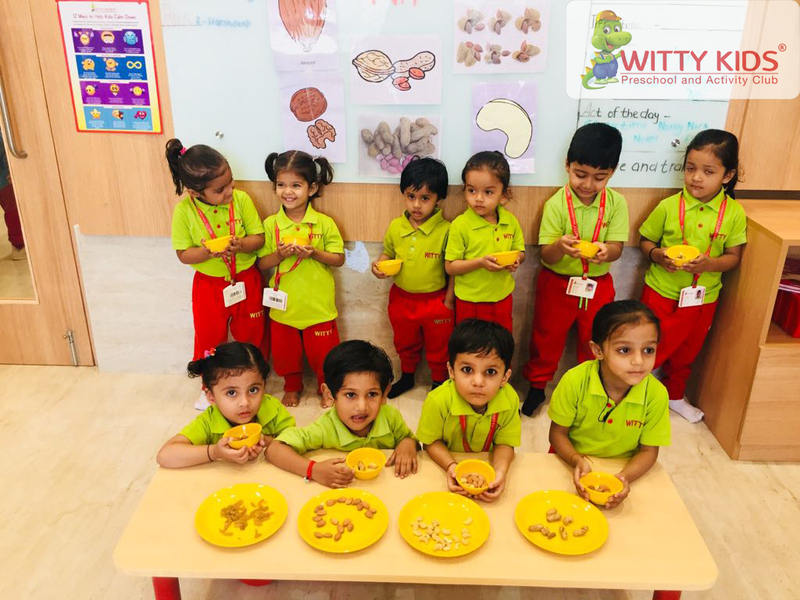 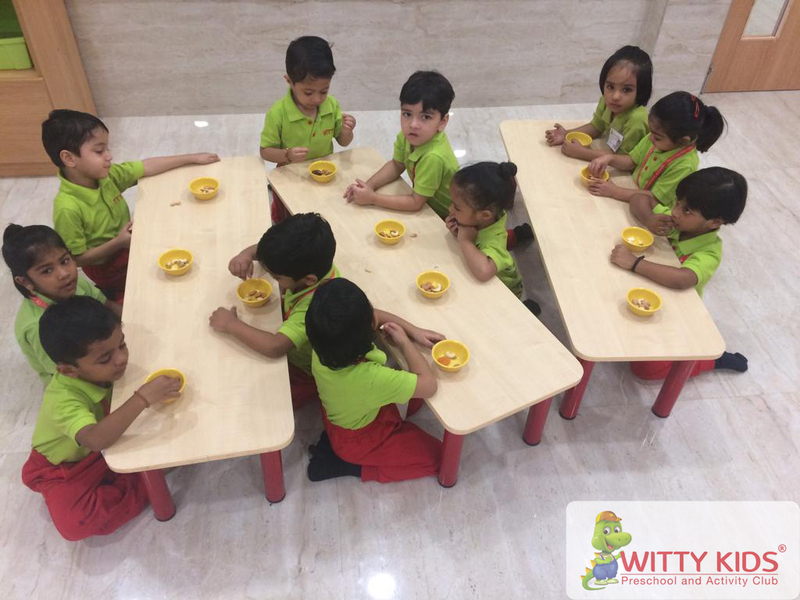 At Witty, we always look for fun, engaging and exciting activities to do with toddlers to make them understand the concept. On Friday, October 26, 2018, Letter 'N' and its sound was introduced to the Nursery toddlers. 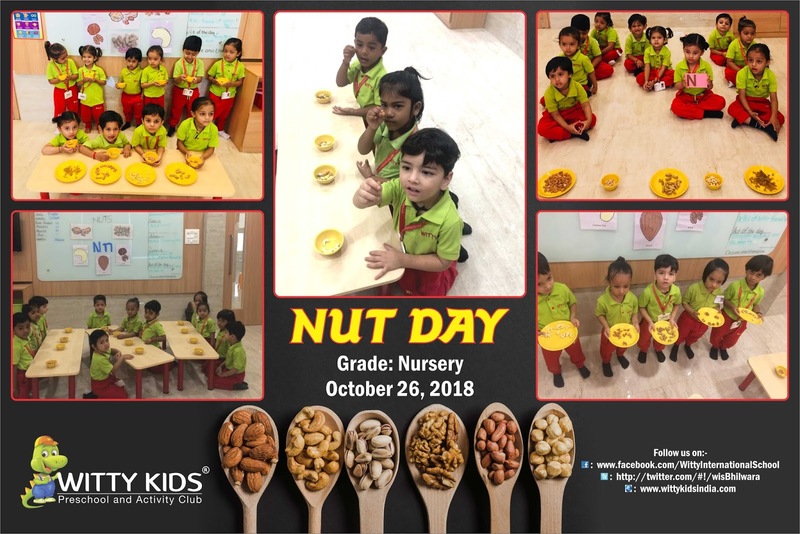 The kids were asked to bring any one kind of nut in their lunch box to correlate it with the sound of letter N that is N says Nuts. 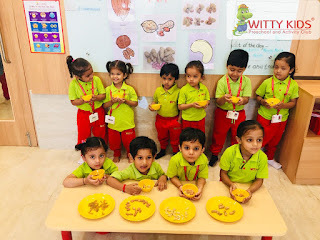 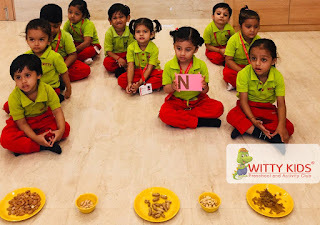 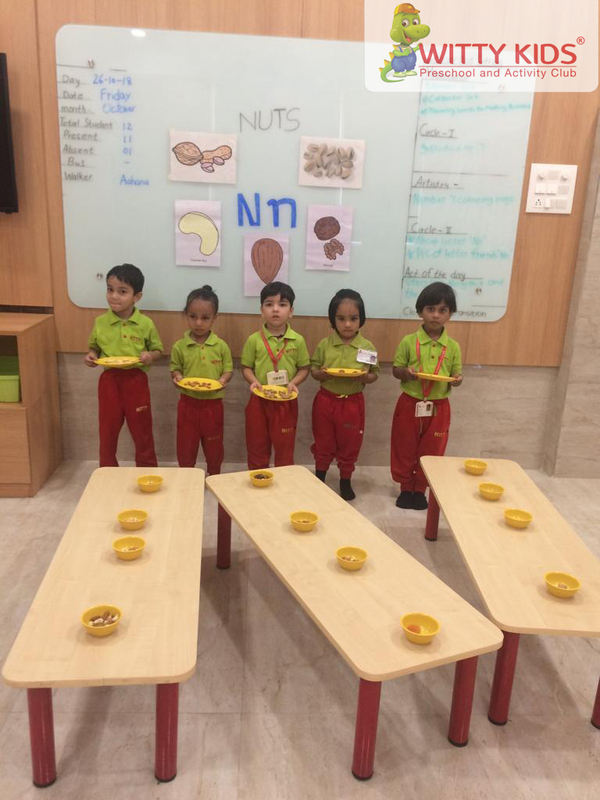 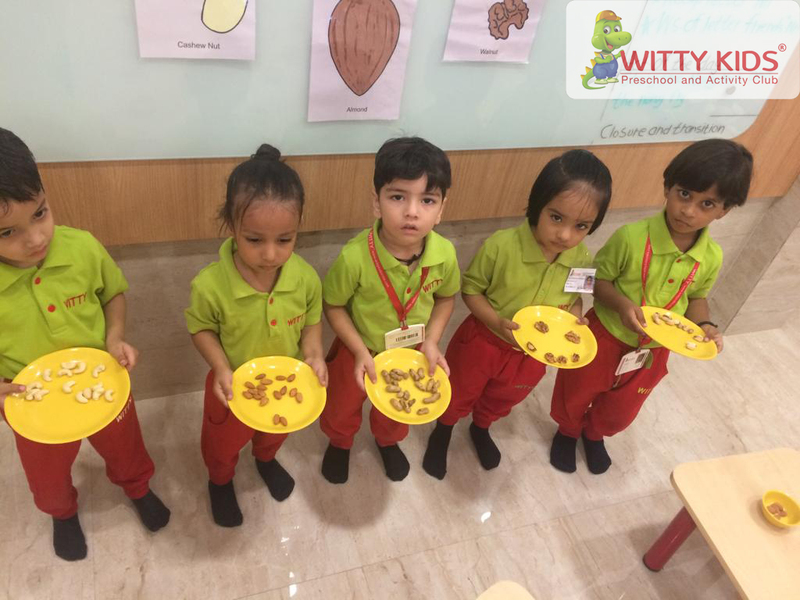 The flash cards of nuts were placed in the class rooms to make the concept clear to the tiny tots. The teachers showed the flash cards and original nuts to the kids and told them to identify the same type of nuts served in plates and also explained about the importance of eating nuts. At the end of the activity, children enjoyed eating the nuts with their classmates.